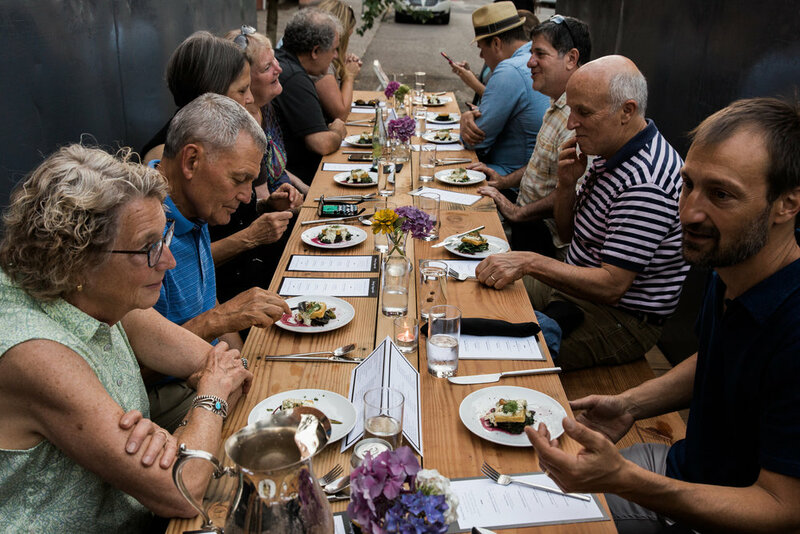 The Salvage Supperclub came all the way from New York City last month and teamed up with the ReBuilding Center to host their first Portland food event. 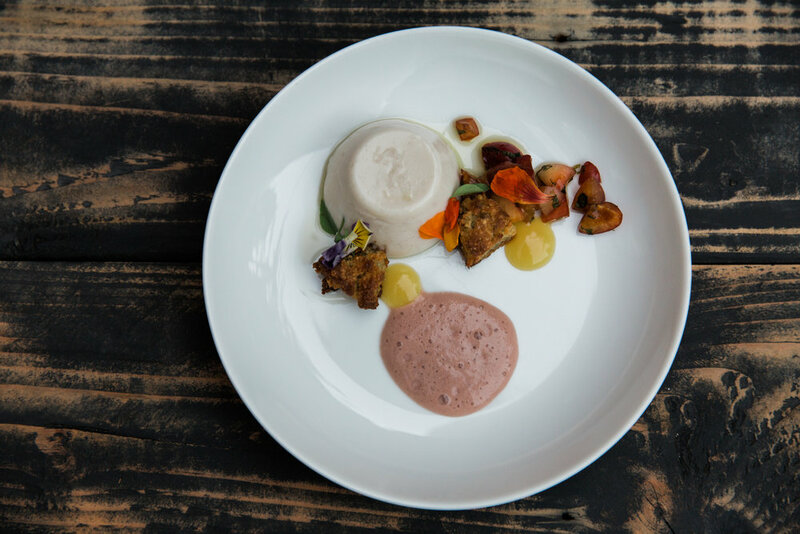 Talented chefs and innovative menus featured exciting dishes in a multi-course dining experience made completely of food and materials that were intercepted en route to landfills. 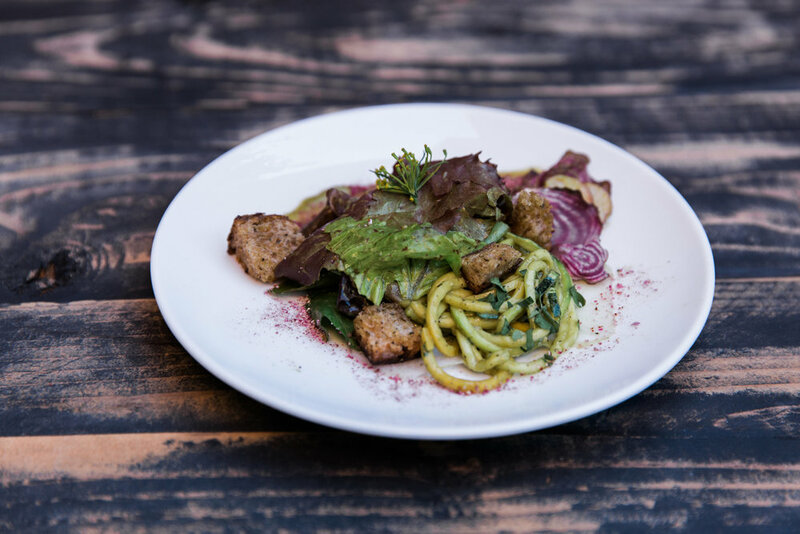 Their creative process draws attention to the immense amount of food that needlessly goes to waste every day, and prompts a dialogue about the potential implementation of more sustainable food practices. 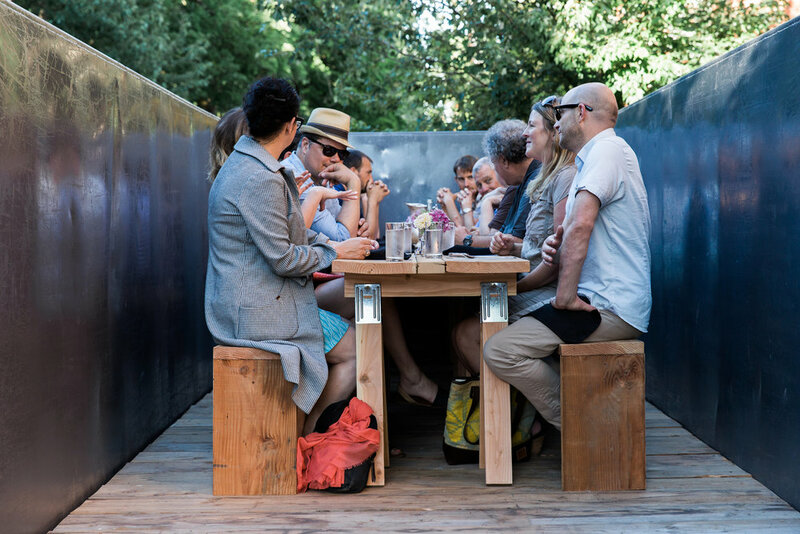 The unique dumpster dining experience took place in a custom communal dining room made with salvaged materials donated by the ReBuilding Center. 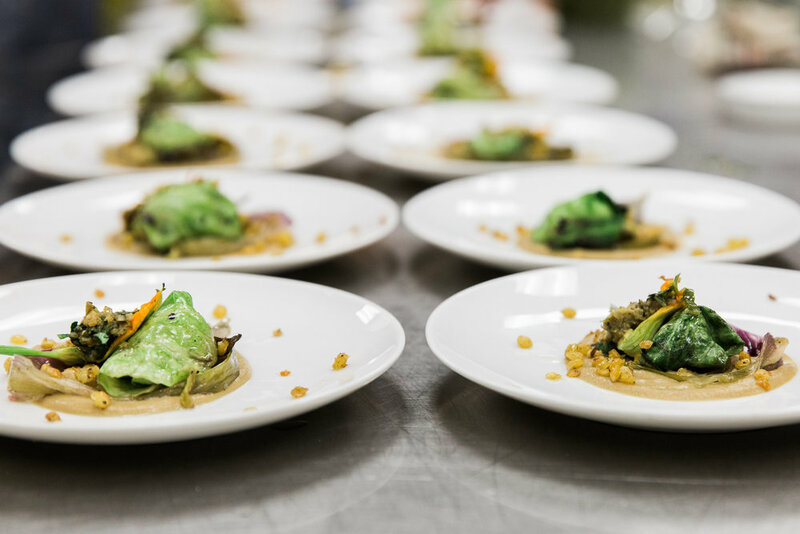 The founder and Creative Director of Salvage Supperclub, Josh Treuhaft, was kind enough to participate in an interview about the details of his events. Where do the profits from your event go? Salvage Supperclub is not an incorporated LLC, and at this point we are not officially a nonprofit either. We are a popup initiative. All of the additional costs associated with the event come from ticket sales, and all of the profits are donated to local nonprofits with similar missions. 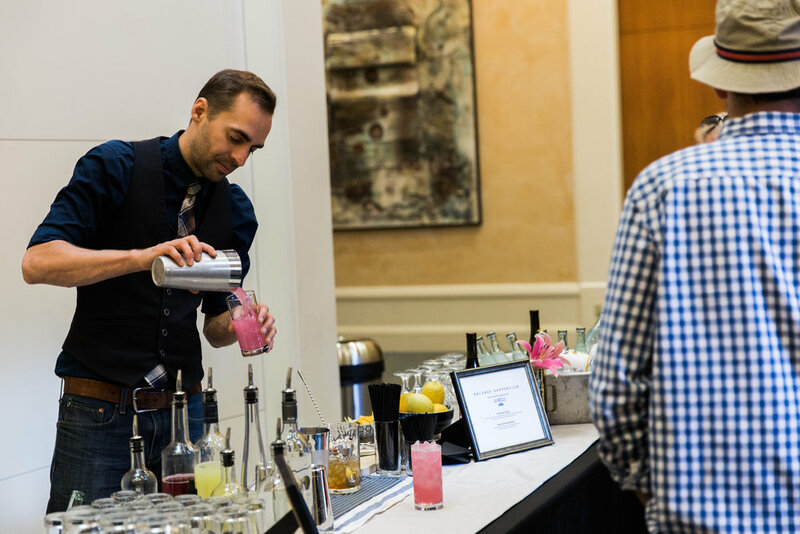 The profits from the Portland event were donated to the ReBuilding Center, Urban Gleaners, and Congregation Beth Israel - the synagogue who hosted the event. How do you ensure you are repurposing food safely? None of our food actually comes from dumpsters, and nothing on our menu has been partially eaten and discarded. We don't use food that contains mold or other signs of contamination. 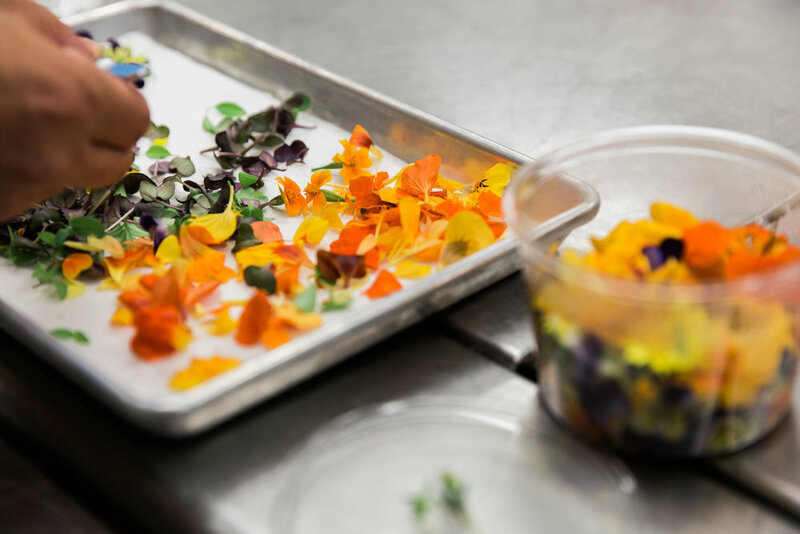 We only use untampered with food that has been donated to us by farms, culinary schools, commercial kitchens, restaurants, community gardens, food coops, and places like that. Do you have recommendations for others on how to minimize food waste? Consider if the part of the vegetable you are about to throw away is actually garbage. Broccoli stalks, carrot greens, and many other things we often throw away, are actually edible and nutritious. You can extend the shelf life of food by storing it properly, and many foods can be preserved by storing them in oil or canning them. Ugly or bruised produce can be hidden in soups and stews. And the sell by date is just a guess by the manufacturer, not a safety requirement or certain date to discard by. Don't throw anything away just because it says it is past the sell by date. Do you find it challenging to repurpose items typically discarded as waste? I think starting with a blank paper can be more difficult than what we do. We have more constraints on what we are working with, which can make it easier since there is less to choose from. This can lead us to be even more creative. Having what we are working with clearly defined is a major benefit, and a neat challenge. How do you think your mission correlates with the mission of the rebuilding center? I think the work you guys do is just great. So much valuable material in the world that all-too-often gets overlooked for no good reason. We need more people doing this important work on that front. We are both looking for things that others overlook the value of, and reclaiming that value. We help people rethink their relationship to materials in their lives, and decide what actually has life and value left in it rather than automatically throwing it away. We both share creative repurposing ideas with others, inspiring them to creatively repurpose items in their own life as well.